Five Council meetings are held each year. All RABDF members are welcome to contact Council to air their views and, if required, to ask that they to put forward those views at forthcoming Council meetings. Landowner and life peer who sits as a crossbench member of the House of Lords. Lord Cameron was national president of the Country Land and Business Association from 1995 to 1997 and was a member of the UK Government's Round Table for Sustainable Development from 1997 until 2000. He was Chair of the Countryside Agency from 1999 to 2004 and was the UK Government's rural advocate for England from 2000 to 2004. He was appointed High Sheriff of Somerset for 1986 and raised to a life peerage as Baron Cameron of Dillington, in the County of Somerset on 29 June 2004, having been knighted the previous year. He is a Fellow of the Royal Institution of Chartered Surveyors and of the Royal Agricultural Societies. Between 2010 and 2015, he was President of the Guild of Agricultural Journalists. He has been co-chair of the All-party Parliamentary Group on Agriculture and Food for Development, alongside Tony Baldry MP, since the 2010 election. Peter, with his brother and father run the family farming and cheese making business, milking 1,200 cows, 240 of which are farmed organically. Producing 4,500t of cheese per year and packing it ready for the consumer market. Peter believes in the need for a more cooperative supply chain along with a passion for innovation within production and energy use to deliver a more sustainable industry. Robert is a partner in two dairy farming businesses in Cumbria milking over 1000 spring calving cows. He is the third generation of Craig's milking cows at Cairnhead in Cumbria and is also an equal partner in the award winning Dolphenby Farming Partners near Penrith. A past Chairman of Cumbria NFU he still maintains an interest in local and national politics both on and off the farm. With both businesses supplying the coop First Milk, Robert represents the First Milk at Dairy UK and is also council member while also working closely with Nestle developing their industry leading milk supply contract. A 2012 Nuffield Scholar Robert now spends an increasing amount of time engaged in several projects with Bristol based charity "The Sustainable Food Trust". Married to Jackie and with four teenage children there's never a dull moment in the Craig household. To escape the madness Robert enjoys road cycling, running and skiing. Di is a Director of a family farming business based in Devon & Cornwall, who with her husband Peter manages 5 block calving grazing dairy farms and an organic vegetable enterprise alongside her sister-in-law Lucy, who manages the family goat milking dairy. A graduate from Seale Hayne who gained experience in banking and the food industry before returning home to the farming business. Di has travelled across the world researching food production, world dairying and forage based systems and is also passionate about the untapped potential of women in business and the skills, knowledge and experiences that they can bring to our industry for the future. She is also keen to promote agriculture to the next generation and sits on the Council for Bicton College, Devon. 2014 Devon Dairy Farmer & overall Farmer of the Year. For their work with the environment Di and Peter were award the FWAG Bronzed Otter Trophy. Jon has long experience in finance for the farming industry following a career with HSBC. 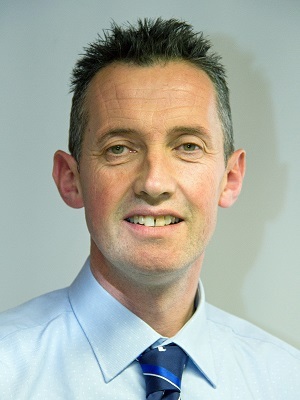 After a spell in branch and commercial lending roles he joined the HSBC Agriculture team in 1999 as Credit Controller and subsequently carried out a number of sales and marketing roles during which time he gained a detailed understanding of all agriculture businesses and in particular the dairy sector. Following a further period of responsibility for the bank's lending to the industry, he then went on to lead a team of credit underwriters specialising in lending to the agriculture sector before retiring in 2014. Mike, along with his brother is a director of the family run farming business, whose Kingspool herd consist of 550 pedigree Holsteins and who currently farm 1325 acres. They were also winners of the RABDF/NMR Gold Cup in 2010. Mike believes that UK dairy farmers are amongst the most efficient and technically advanced in the world, they need to work with the entire supply chain to promote the benefits of dairy produce and in turn receive a fair reward for their time and investment. Michael lives in South Gloucestershire where he is married with a teenage daughter and son. Hobbies include skiing, cross country running, cycling, and coaching rugby at junior level. Tim farms in Shropshire with wife Louise and Tim's parents, an organic farm for over 15 years milking 300 spring calving crossbreeds on an American equivalent non-antibiotic contract. Tim has sat on the board of directors for OMSCO for 5 years and is also on the technical committee. Tim is a Nuffield scholar and also is on AHDB Dairy's research advisory group. He has been Professional advisor to the Agriculture course at Harper Adams University and is chairman of the Stargrazers discussion group. Tim still plays Rugby and has completed the Celtic Challenge raising money for RABI whilst rowing a team across the Irish Sea. Managing partner of a 680 acres family farm and shop (organic since 2000), 240 cows (Beechpike herd), Nuffield Scholar & Bullock Prize Winner, Waitangi fellow, Deputy Chairman of OMSCO, Chairman of OMSCO Technical Committee, Chairman of Dairy UK Farmers Forum, Chairman of Action Group on Johne's, Dairy Ambassador of the Year 2015, Chairman of RABDF 2007-2010. Married with one teenage son. As Farm Manager at Gelli Aur College, he runs the 400 cow Two Herd Evaluation project, managing both a low input spring calving crossbred herd and a purebred black and white autumn calving higher input herd, and delivers relevant comparisons. He is a 2002 Trehane Nuffield Scholar and studied 'The Role of Development Farms in Successful Technology Transfer.' He has also served on the management committee of the British Grassland Society and is a keen member of the European Dairy Farmers Club. Nuffield Scholar past member of NFU Council, Director of Genus plc, Chairman of The Maize Growers Association, and Chair of the RASE committee on Science, Agriculture and Rural Affairs. For many years Guy owned the long established Hampreston herd of Holstein Friesians in Dorset. In response to the recent changes in the dairy industry and less secure milk prices he completely restructured his business. He now milks 320 cross bred cows in a low input autumn calving herd in a joint venture with a young farmer from Somerset. William farms in partnership with his wife, Carolyn an 840 acre mixed unit near Sevenoaks, Kent which includes Downland reversion and wildlife plots in an HLS agreement. The farm which is part of the Chevening Estate, carries an 180 cow Holstein herd block calving in autumn and averaging 9,800 litres. William has been a board member of Southern Farmers buying group, a member of Ramsak and Weald Granary. Dairy farmer and partner in family business, milking 300-400 Ayrshire and Red & White's in the North of England. Part of organising group to represent dairy farmers in forward farming project. Mindful of RABDF's position 'no future without youth on board', keen to assist and listen to comments & thoughts of our younger members. Stakeholder on Animal Health For Dairy North of England.